Quick work on the inside of the main characters ship, The Vollaria. 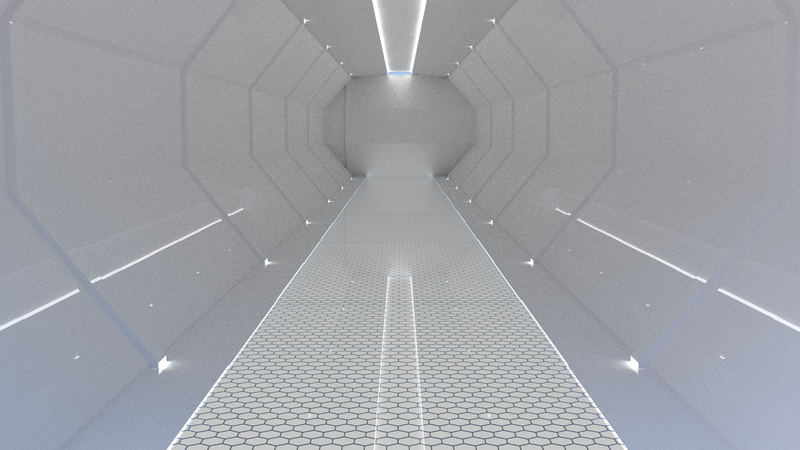 This is just a hallway, but will be doing the command center, docking bay, and medical room soon. I wanted the interior to be mainly clean and well lit. I had done work on the floor earlier and knew how I wanted it to look. The honeycomb shape is prominent in the ship’s interior design. This is a Work In Progress and is nowhere near completion.